Peerless Clothing manufactures men’s suits in Montreal, Quebec and overseas. They have their US distribution facility in the St. Albans Town Industrial Park. CCE has been involved with their facility since 1998. 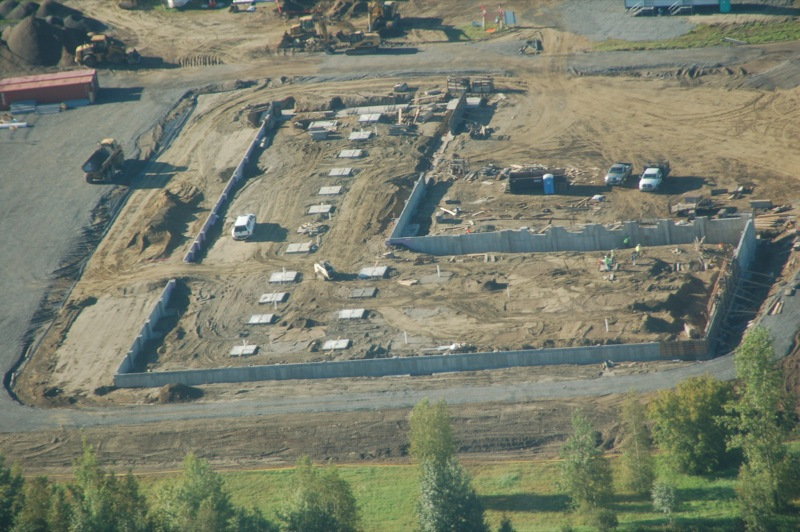 Four major buildings have been constructed along with associated parking lots, utilities and other site improvements. Peerless Clothing now has over 400 employees located at the St. Albans distribution center. A major warehouse addition was designed by Cross Consulting Engineers in 1998 and constructed in 1999. This 40,000 SF warehouse is 48 feet in height and contains several levels of racking systems, including a mechanized sorting machine for men’s suits. In 2005, Peerless Clothing had again outgrown their facility and commissioned the design of a new 80,000 SF warehouse facility. This $11 million facility is 50 feet high, contains four levels of racking systems, 20 loading docks and a major employee parking area and truck maneuvering area. This project included an overhead walkway 200 feet in length to connect buildings. CCE, in conjunction with mechanical and electrical subconsultants, performed all of the civil engineering, architectural and structural engineering design associated with both projects. In 2005, Peerless Clothing commissioned a third expansion consisting of a 72,000 square foot addition, fifty feet in height. In 2016, their latest expansion included a 90,000 square feet addition, sixty-five feet high. Currently, the distribution center is 282,000 square feet in size with 896,000 square feet of mezzanine space. Peerless Clothing is currently in construction of their latest expansion, which is scheduled for completion in 2019. CCE is the project manager, architect, civil engineer, and structural engineer for this project, and aquired all permits. Construction Manager: DEW Construction Corp.
Barry Callebaut is the world's leading manufacturer of high-quality cocoa, chocolate, and confectionery products- from the cocoa bean to the finished product on the store shelf. This 33,000 SF manufacturing expansion was designed and fully permitted by Cross Consulting Engineers in five months and will be occupied in June 2018. The building addition will contain manufacturing equipment, bulk storage tanks, mezzanine and a maintenance shop. A two-bay tanker unloading structure is part of this project. Mechanical, electrical and plumbing design is by Pearson and Associates. CCE performed all of the civil engineering, architectural and structural engineering design associated with this project and acted as Project Manager. 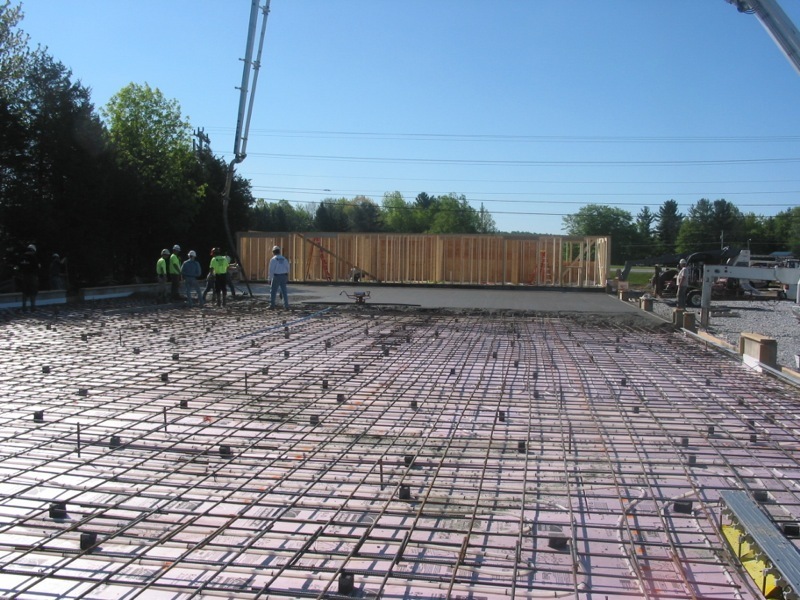 Our services included permit acquisition and surveying. Farrell Distributing Corporation is a well established beverage distribution company with facilities in South Burlington and Rutland Vermont. Their South Burlington facility was constructed in the 1970’s and consists of approximately 130,000 SF of warehouse, offices and cold storage. In 2014, Farrell Distributing contacted Cross Consulting Engineers for assistance with a major renovation and expansion. Farrell Distributing needed indoor truck parking facilities so that their beverage trucks could be loaded in the evening and parked indoors over night during the winter so the beverages would not freeze. They also needed additional office space and a much larger cold environment warehouse for beverage storage. Cross Consulting Engineers designed a 25,000 SF indoor truck parking facility which accommodates 18 side load beverage trucks and three loading docks. We also renovated their existing loading docks on the front of the building into nine exterior loading docks instead of interior docks. Previously, Farrell Distributing backed their tractor trailer trucks into the building to internal docks. The tractor trailer trucks were too long to completely fit within the building. 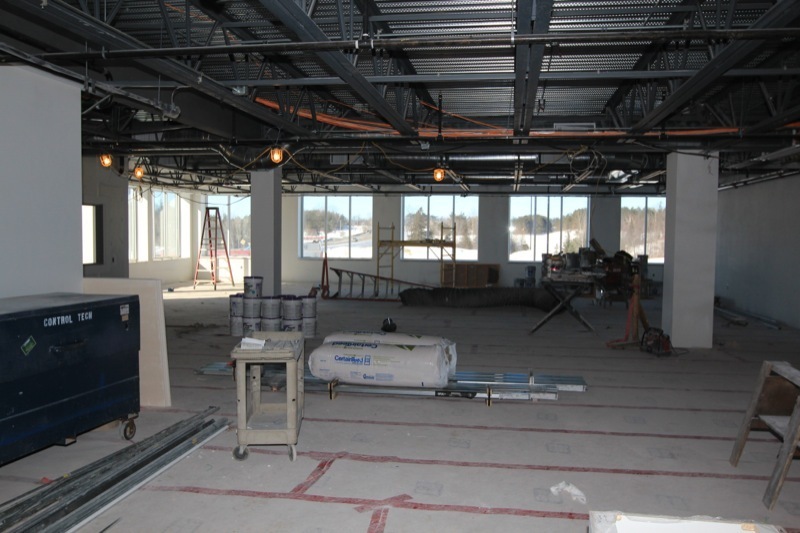 In order to add additional office space, a second floor above the former indoor loading area was designed. This second floor is constructed out of structural steel with concrete deck and is accessed by three stairways and a new elevator. Cross Consulting Engineers performed all architectural and structural design and acted as Project Manager for this $8,500,000 project. Construction started in July of 2015. Northwestern Medical Center proposes to relocate Crest Road, the main access road through their campus, approximately 90 feet east towards Route 104. This will allow for redevelopment of several parking areas and a new parking area to be built adjacent to their conference center. Another new parking area is proposed east of the relocated Crest Road. The redevelopment and expansion of parking is in response to the needs of the visitors and employees and to provide more direct access to the various buildings on the campus. Existing utilities will also be relocated with Crest Road. Contractor: Dale E. Percy, Inc. 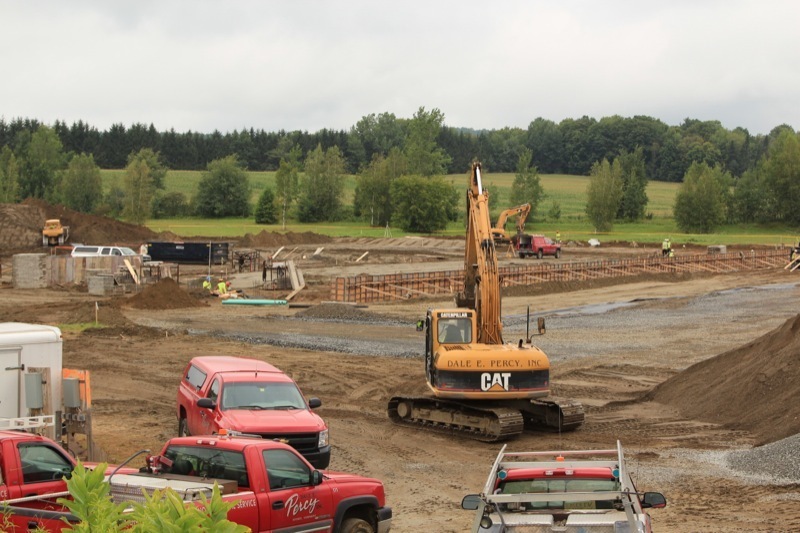 The project consists of demolishing two convenience stores and constructing a single convenience store along the north side of Route 2 at Bay Road in Alburgh, VT. The two existing convenience stores and one set of fuel pumps and canopy will be removed. A new 5260 SF building will be constructed that will serve 18 vehicle fueling stations and 2 truck fueling stations. The eastern most existing access onto Route 2 will be closed. The City of St. Albans is planning a major redevelopment of its primary at grade parking lot in the central downtown core. This project includes a four-story, 45,000 square foot office building on the Federal Street block between Lake Street and Kingman Street, connected to the proposed parking garage via a pedestrian bridge. The office building will be leased by the State of Vermont and owned by a private developer. A hotel on Lake Street is also being planned. 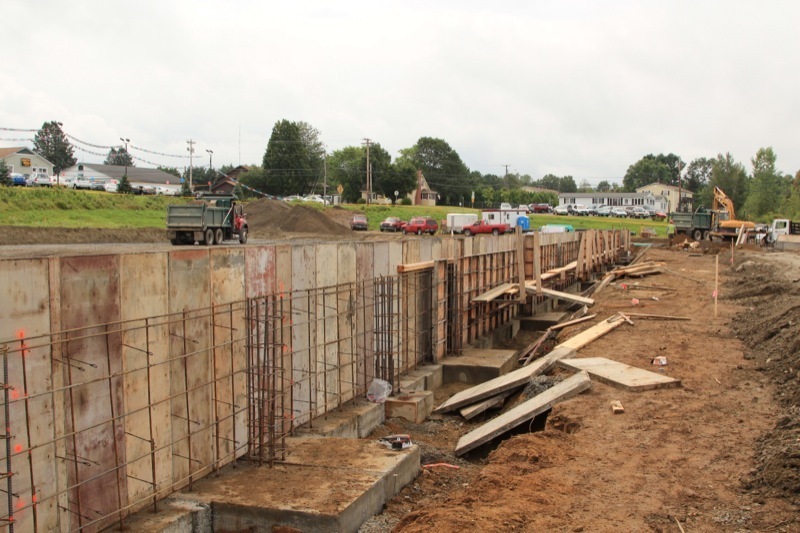 The parking garage will contain about 360 parking spaces on five levels which will provide parking for State employees, the public and hotel guests and employees. Construction of the parking garage and demolition of several buildings began in September 2013. 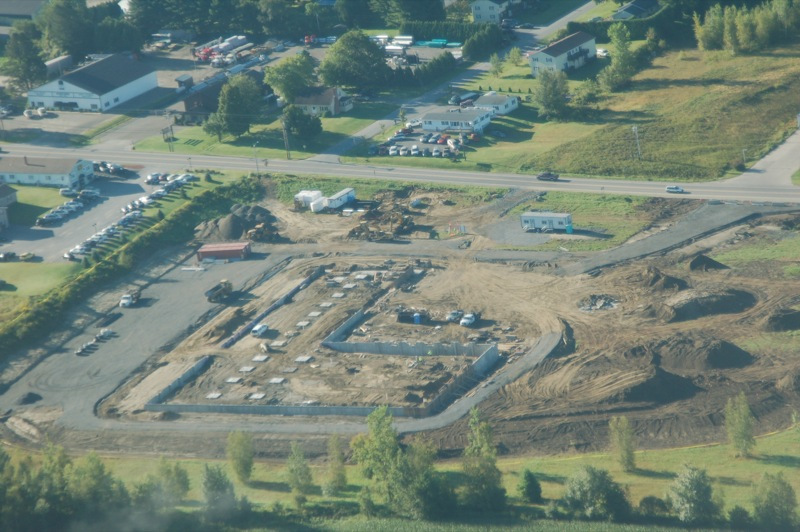 The State Office Building is scheduled to commence construction in December 2013. 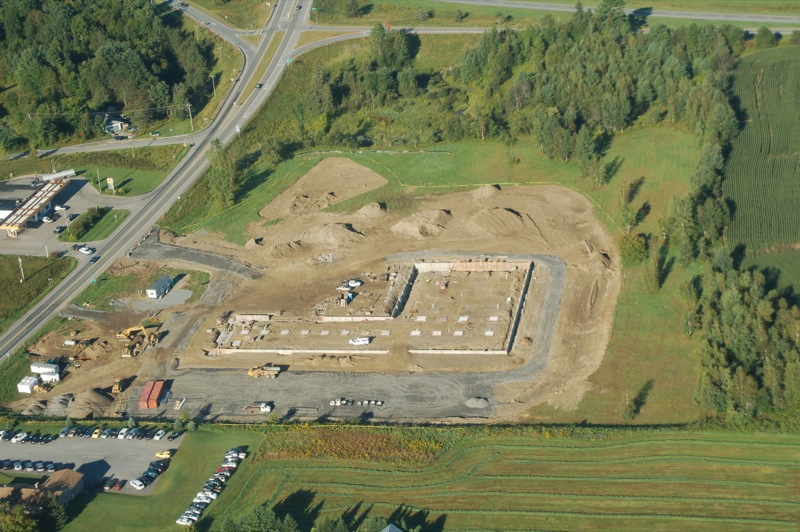 Louis Garneau is proud to announce the construction of its new facility in Derby, Vermont, which will house its production, distribution, marketing, commercialization and administration activities. Located on Route 5 close to I-91, the new building, totaling 60,000 sq. ft., represents an 8 million dollar investment. Construction started in July 2013. 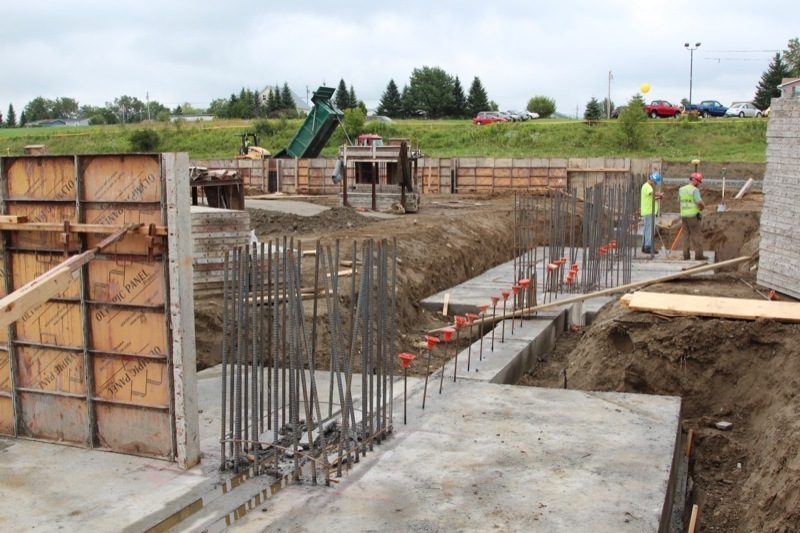 Construction of the new 8520 square-foot public works garage for the Town of Swanton began in April of 2013. Construction Manager: Millbrook Building & Remodeling, Inc. The St. Albans Cooperative Creamery is proposing to relocate their retail store to make room for an expansion of the dairy plant. 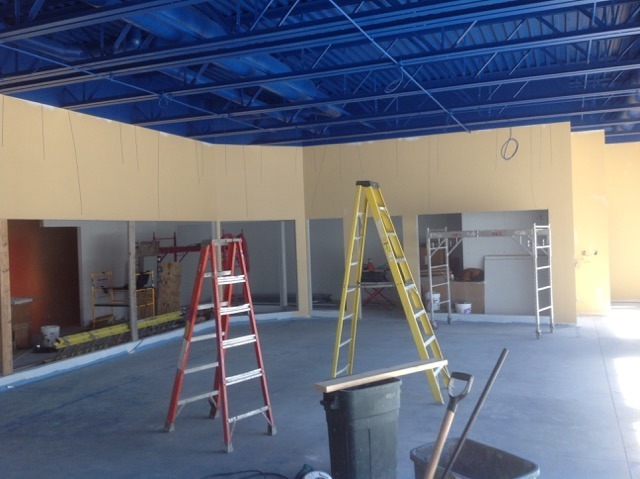 The new store will be 18,000 square feet in size and located adjacent to their main facility. The plant expansion will contain new dryers to update an aging infrastructure which produces powdered milk. Demolition of several buildings on the property began in May, and the construction of the new retail store began in earnest in July. Construction Manager: Connor Contracting Inc.
Georgia Mountain Community Wind (“GMCW”) is a 10 megawatt wind power facility being developed in Chittenden and Franklin County in the towns of Milton and Georgia, Vermont. The owners firmly believe in the importance of bringing clean energy and economic benefits to their local communities and Vermont. The facility will be situated on a 700+/- acre parcel of land along the Chittenden and Franklin County line that includes the 1440 ft southeastern summit of Georgia Mountain. 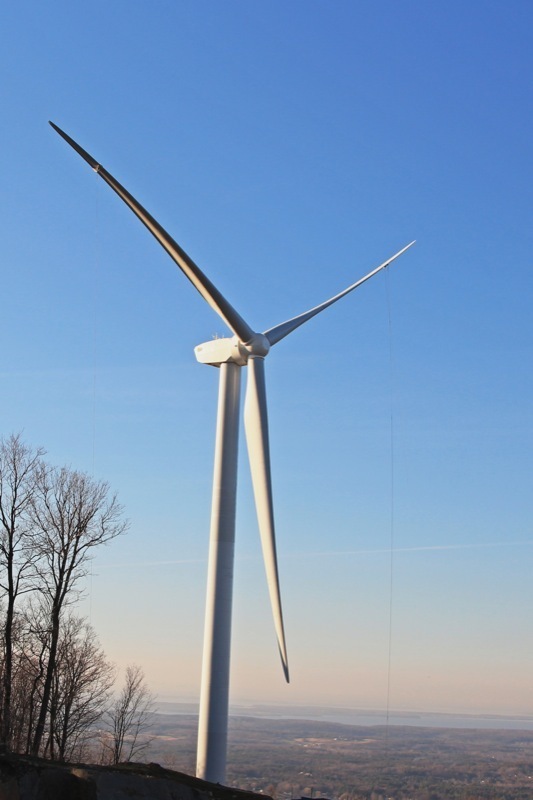 Working with an adjoining land owner, the ¾-mile ridgeline is available to support 4 commercial scale wind turbines that will provide electricity produced from sustainable sources, contribute to the growth of alternative energy in Vermont, stabilize electricity prices and contribute to in-state investment opportunities for renewable projects. The electricity will be sold to Burlington Electric Company. The Project will involve constructing approximately 2.2 miles of new or improved access roads and approximately 2.5 miles of new 34.kV electric transmission line to connect with the existing transmission circuit owned by Central Vermont Public Service Company.